David Cameron’s legacy will be felt all too acutely by those workers earning a low wage or in insecure work who will be shut out from his housing promise Unite. 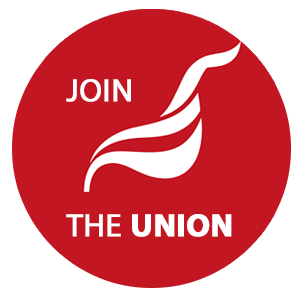 Unite was commenting on David Cameron’s conference speech, which the union said, would ‘offer little reassurance to those bracing themselves for the impact of Tory cuts ’. Unite general secretary Len McCluskey said: “David Cameron’s legacy will be all too visible to those on low wages or who are bracing themselves for the next swing of the Conservative cuts’ axe, like the three million low-waged families about to be stripped of more than a £1,000-a-year thanks to his government. “His stubborn adherence to the bankrupt political philosophy of austerity with the slowest economic recovery in history; missing their own deficit reduction targets; three successive months of rising unemployment; and the longest fall in living standards since the 1870s. “But he and George Osborne are determined to press on with even deeper cuts that will destroy our public services. “People wanted to hear today that the government would at last do something to create decent work in this country and not sit on the sidelines as millions slide into insecurity and our manufacturing industry is left to rot. To them, these promised new homes to buy are as achievable as a trip to the moon. “If this prime minister does leave a lasting legacy, it will be that people are `on their own’. “As for the housing pledge, this fools nobody. We need to build at least 240,000 additional homes annually to keep up with the new households that are formed – last year only 140,000 were built. Our branch is working to support campaigns to defend social housing. Come to our branch meeting or contact us to get involved. More material to follow - meanwhile, take a look at this recent blog on the Class website by Paul Kershaw and Suzanne Muna. There is also a blog on the same site on the government support for home buyers here.